The Law Office of Wayne M. Chariff represents Binghamton, Broome County, Tioga County, and Chenango County clients in matters of personal injury, workers compensation, Social Security Disability, civil litigation, and more. When you become injured because of someone else’s negligence, it’s only right and fair that they reimburse you for any resulting medical bills, lost wages, and pain and suffering. It is our job to help you do just that. If you or a loved one has suffered a personal injury, contact us to get the support you need in order to collect compensation. There is never a more important time to retain an effective and reliable attorney than when you are facing criminal charges. The stakes are simply too high to proceed without caution and planning. Attorney Wayne Chariff has decades of experience successfully representing clients during criminal trials and will devote every resource possible to defending your case. After 15 years of excellent service, Wayne is a member of our family. He has gone above and beyond for us many times and we would not hesitate to recommend him to anyone. Need a good lawyer call him. Wayne is the best lawyer. 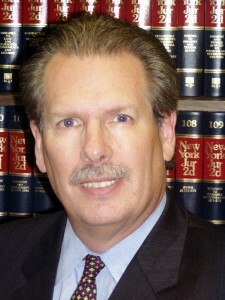 Attorney Wayne M. Chariff began practicing law in 1977. Since establishing the Law Office of Wayne M. Chariff in 2002, Wayne has helped countless clients find solace in the wake of stressful personal injury and criminal defense cases. He also assists with Social Security Disability and worker’s compensation claims. If you are headed to court, we can help you defend your position and obtain the outcome you deserve. Are you injured or disabled and encountering problems getting the benefits you need? We can help. As a New York employee, you are entitled to financial benefits if you get hurt in the workplace. Practicing in Binghamton, New York since 2002, the Law Office of Wayne M. Chariff represents clients with cases involving personal injury, Social Security Disability, workers' compensation, and civil and criminal litigation. Attorney Wayne M. Chariff understands that not everyone is a lawyer. Check out our comprehensive, easy-to-follow Frequently Asked Questions page to gain a better understanding of the types of cases with which Wayne is most familiar. For more than a decade, attorney Wayne M. Chariff has been helping Binghamton residents resolve legal matters regarding personal injury law, Social Security Disability, workers’ compensation, and civil and criminal litigation. Wayne also offers a free initial consultation to evaluate the details of your case. Located in Binghamton, New York, the Law Office of Wayne M. Chariff has been representing clients in Broome and surrounding Counties for more than a decade. Call now for a free consultation. 59 Court St. 4th Fl. The Law Office of Wayne M. Chariff proudly represents Binghamton, New York and surrounding cities, including Johnson City, Port Dickinson, Park Terrace, Whitney Point and more in Broome, Tioga and Chenango counties. The Law Office of Wayne M. Chariff handles legal issues concerning personal injury law, Social Security Disability, workers’ compensation, and civil and criminal litigation.